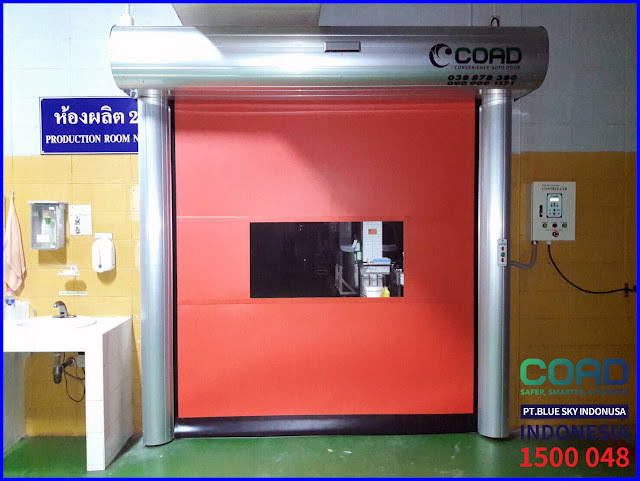 High Speed Door COAD is a flexible and easy-to-use automatic door. COAD High Speed Door is flexible because it uses P.V.C material. which is very elastic and not rigid. It also makes COAD High Speed Door can be installed in various places and conditions of the room. 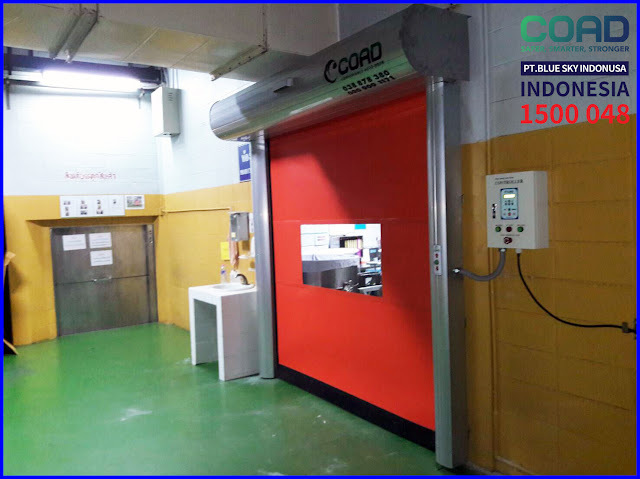 COAD is also very easy to use, COAD High Speed Door using sensors and remote control that can be controlled remotely. 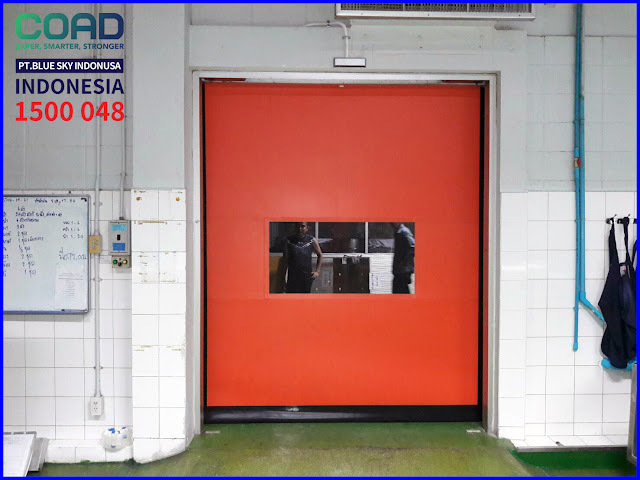 High Speed Door COAD is also very environmentally friendly and low-cost maintenance, because COAD High Speed Door has a Restoring Model door. 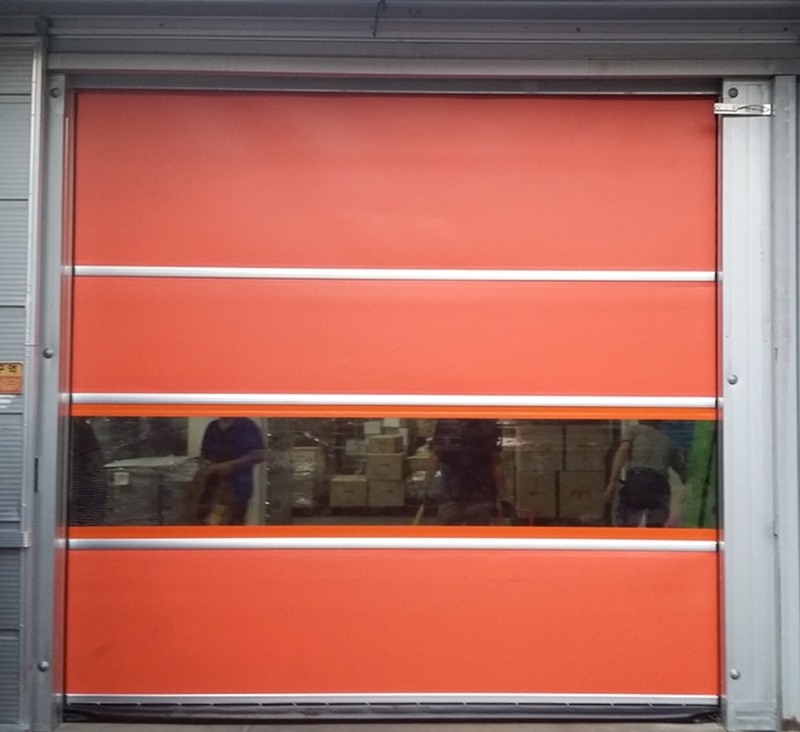 The door is a type of high speed door that can improve independently. 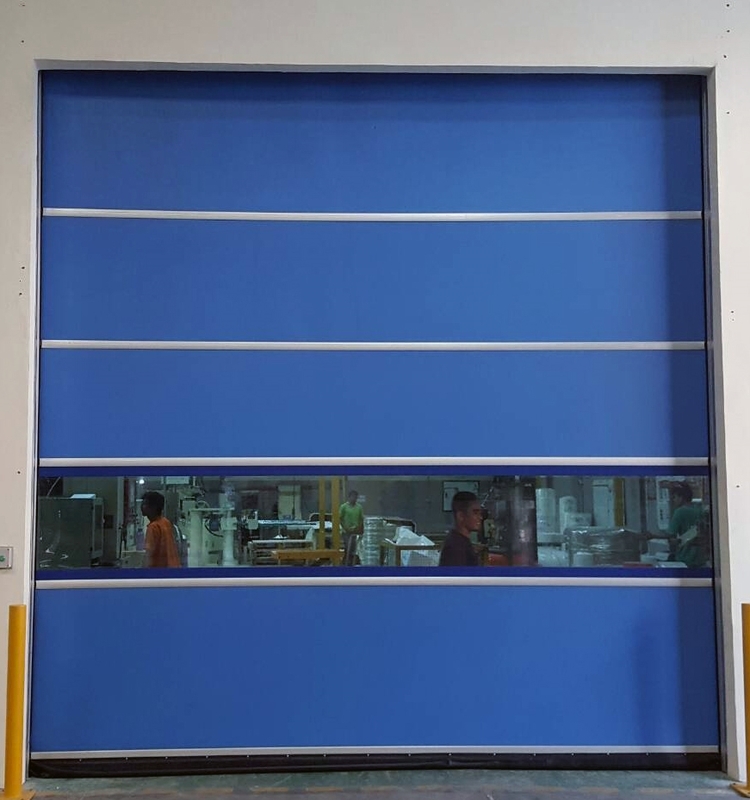 High Speed Door COAD can be used for a long time. The quality of High Speed Door COAD is unquestionable. COAD has been used by many industries, both leading and small industries. 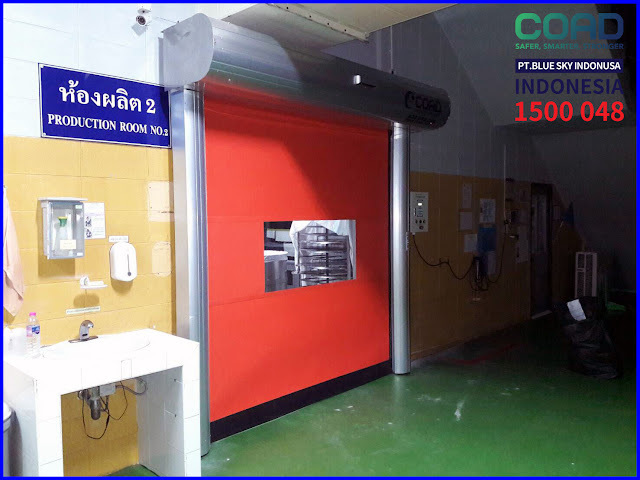 COAD High Speed Door protects the room from dust and dirt, avoiding insects and entry of unwanted foreign objects. COAD High Speed Door provides 3 Year Product Warranty. 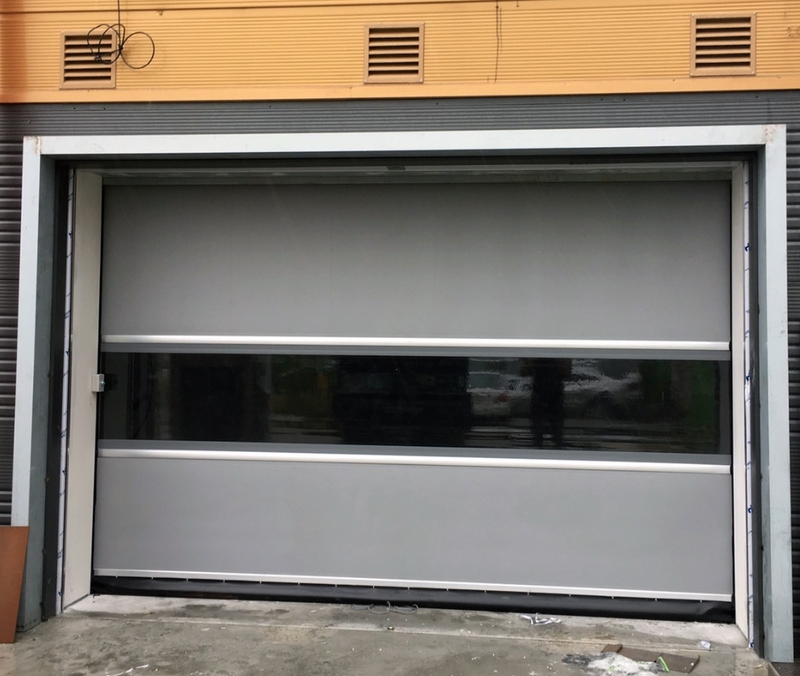 0 Response to "High Speed Door COAD, Flexible Automatic Doors and Easy to Use - High Speed Door, COAD"